When we first laid eyes on Chris & Sarah and the Pugh family farm, we couldn’t wait to plan their special day. On our first visit to meet Chris and Sarah, after driving through narrow country lanes we finally arrived in the courtyard of their farm. 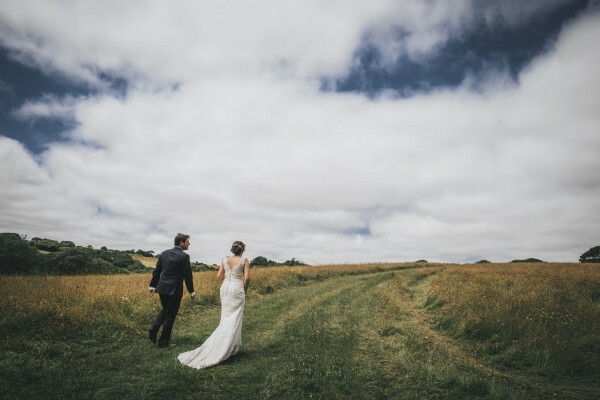 As we walked across fields overlooking the Helford River to the site of the ceremony we instantly knew, despite the heavy hailstorm we got caught in, that this was going to be one incredibly special venue. We did have our fingers crossed hoping that their wedding day weather would be more suitable! Having wanted the day to be informal and relaxed, Chris and Sarah knew their family farm was the perfect location for them. The whole day was a real family affair, the groom’s mother prepared the canapes and post wedding nibbles at the quayside, and then retrieved her wedding outfit from the branch of a tree from which it was hung, and appeared from behind the bushes, beautifully dressed and looking amazing. 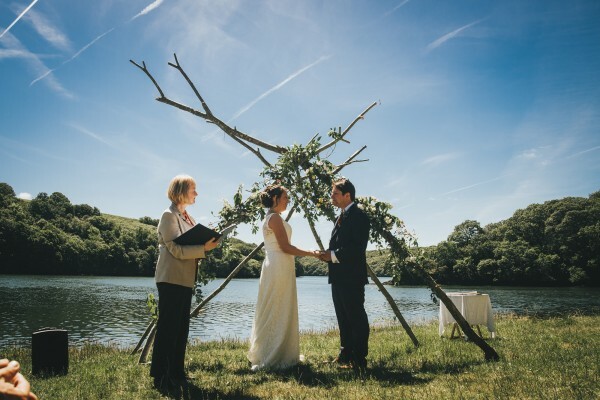 The beautiful backdrop of the Helford River set the romantic scene. They certainly hit jackpot on the day, as it was one of the most glorious days of the year. The guests enjoyed their walk across the fields to the quayside setting for the ceremony in beautiful sunshine. A talented artist, Ruth Whiter, was there on the day to sketch their stunning ceremony and capture the fun-filled celebrations and once the ceremony was over, the children went off to paddle and play in the river with the dogs, whilst their parents tried to prevent them from getting wet and muddy! 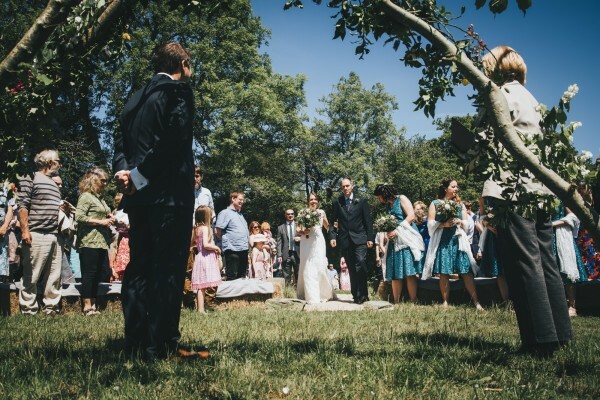 It truly was a beautiful ceremony that took place in the heart of their family home farm.